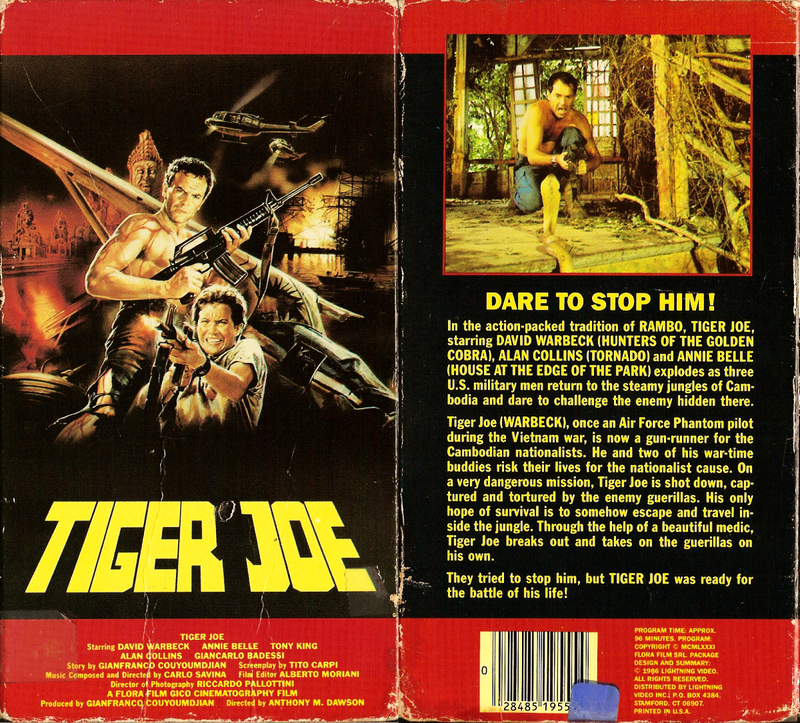 Antonio Margheriti's Tiger Joe (1982) was a means of stretching leftovers from the director's previous 'Nam war entry, The Last Hunter (L'ultimo cacciatore) (1980). Unfortunately, the hodgepodge result feels like exactly that. Ninety-six minutes of the titular character and humanitarian love interest (Annie Belle) moving through the green inferno, engaging in sporadic mediocre gunfights, and meeting up with native rebels. 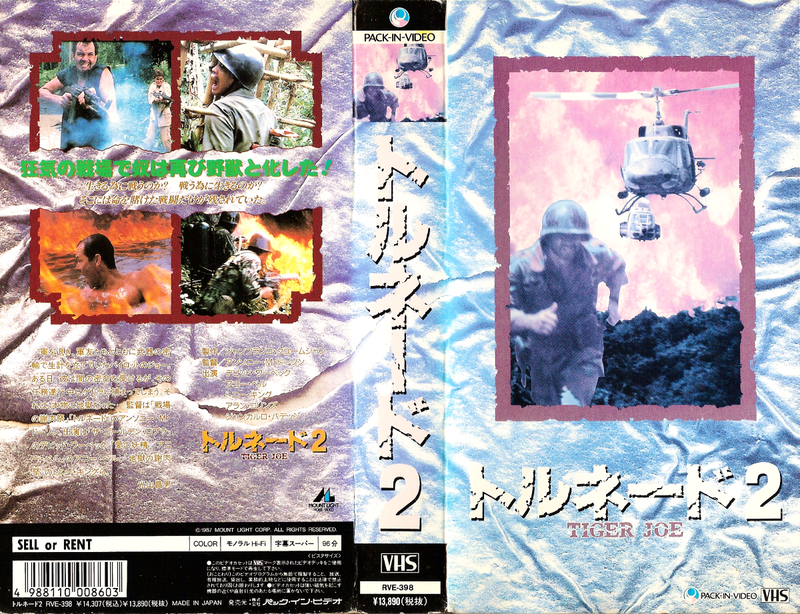 Unlike the near poignant excitement of Margheriti's Deer Hunter answer, this action potboiler doesn't have a grander point despite trying to at least maintain modest momentum. Even the strident and supremely self-assured David Warbeck, who possibly pissed Old Spice, can't quite make this exercise totally worthwhile. A boisterous Tony King, alumnus of Cannibal Apocalypse and Last Hunter, is on hand to practically steal the show from the star who takes a bit of a backseat in the last reel. 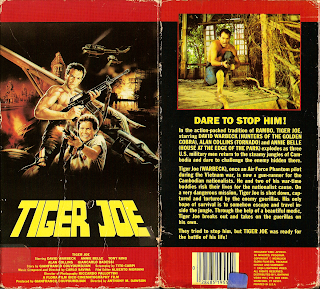 Tiger Joe is also strangely grim, but not in the traditional, over-the-top Italian exploitative sense. The tone of the entire feature is simply downtrodden. This nagging sense confirmed when Tiger Joe's dying mechanic, after injured in a munitions explosion, is carried by a desperate Midnight (King) across a stretch of jungle before committing suicide in the arms of his broken friend. At a certain point, you realize there's no central baddie, just opposing forces facing off against protagonists who aren't fighting for a purpose let alone much for their lives. Carlo Savina's dreary score doesn't help matters. I kept envisioning a scowling Vincent Price with candelabra stalking a cobwebbed hallway to the late composer's music; not Warbeck breaking Charlie face with blazing M-16 as napalm deforestation occurs from behind. I have a nostalgic affinity for Tiger Joe, as it was my first experience with an Italian hut exploder (after first seeing Fulci's masterpiece, The Beyond), but I'd suggest seeking out the far superior The Last Hunter before cautiously venturing into this next day warmed over turkey.